While the GMT complication and high-end 9F quartz movements have been synonymous with Grand Seiko, they have never been combined, until now. 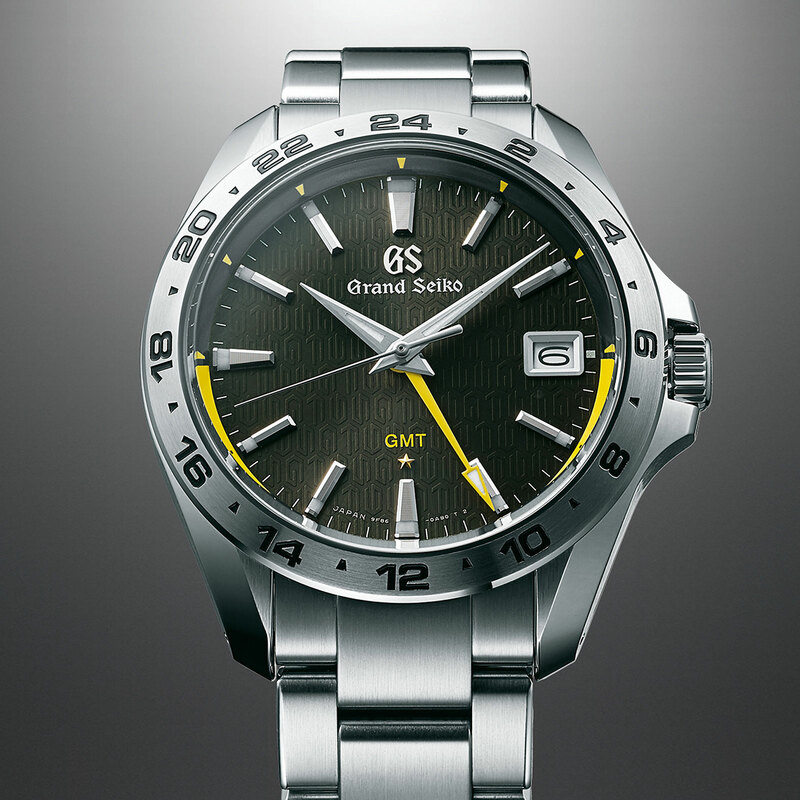 Grand Seiko has just added a second time zone function to its top of the line quartz calibre, creating the 9F86, which makes its debut in a trio of Grand Seiko Sports models. The 9F GMT has all the impressive features of the basic 9F movement, including an instantaneous date and zero-backlash seconds hand. But the GMT function is just like that found in mechanical Grand Seiko movements, with an independently adjustable hour hand set via the crown. 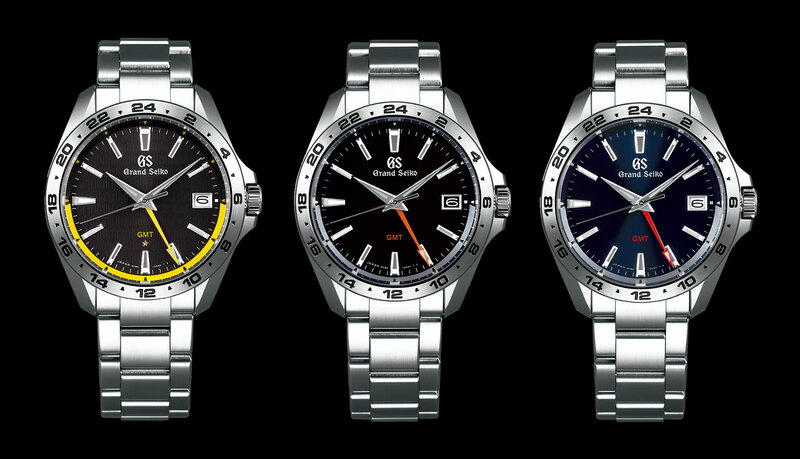 The 9F GMT watches have the same 39mm steel case with crown guards and 100m water-resistance. At 12.1mm high, the case is slightly thicker than that of the time-only quartz Grand Seiko, but not by much. That’s because the 9F86 movement is not merely a second time zone module added on top, instead it has a redesigned movement base plate and wheel train, along with a shorter cannon pinion to attach the hands. Limited to 800 watches, the flagship model is the Grand Seiko 9F GMT 25th Anniversary limited edition (ref. 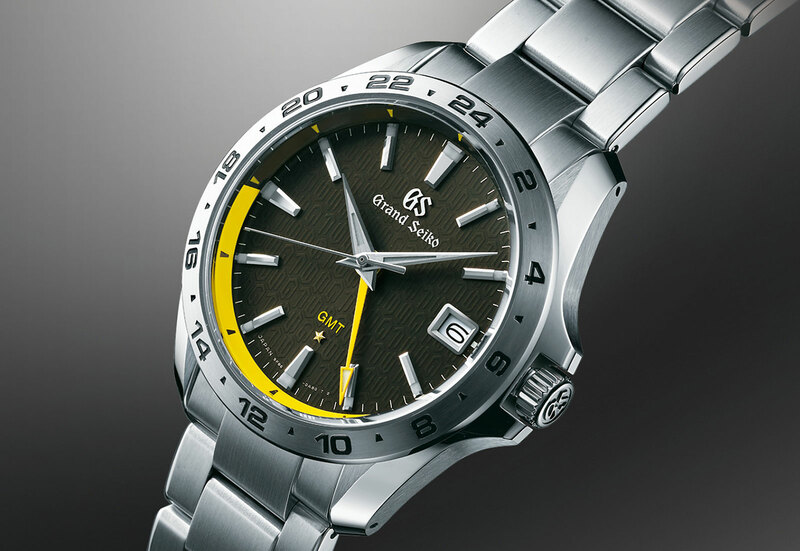 SBGN001) to mark the 25th year of the 9F movement, joining the other anniversary edition unveiled earlier this year. It’s powered “Special” quartz movement that boasts a specially selected quartz crystal that allows the movement to run within +/-5 seconds a year – denoted by the golden star at six o’clock. Featuring the nighttime half of the 24-hour track and GMT hand in bright yellow, the limited edition has a “metallic charcoal” dial stamped with a motif inspired by the traditional Seiko quartz logo. But at five o’clock (or 25th minute) on the dial, the pattern actually incorporates a subtle “9F” and “25”. The other two 9F GMT models will be part of the regular collection. The ref. 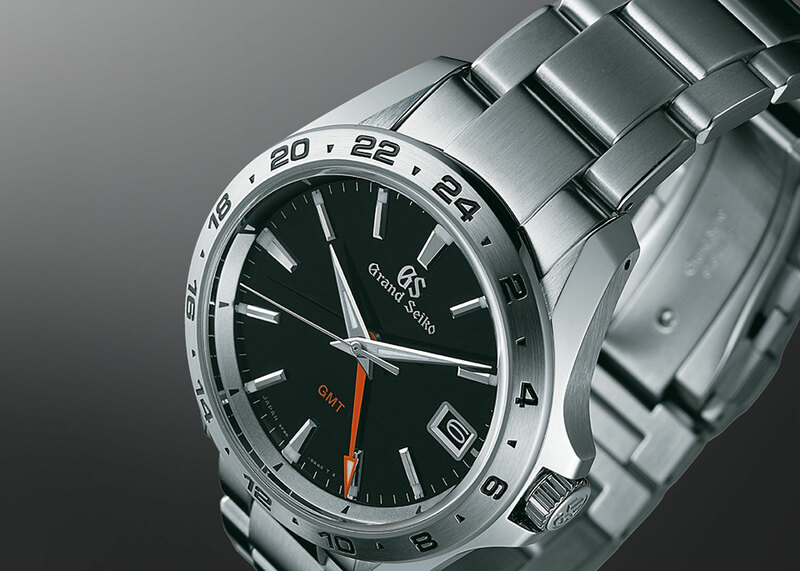 SBGN003 has a black dial with a red GMT hand, while the ref. SBGN005 has the dial in metallic blue. These are fitted with standard 9F movements, rated to +/-10 seconds a year. 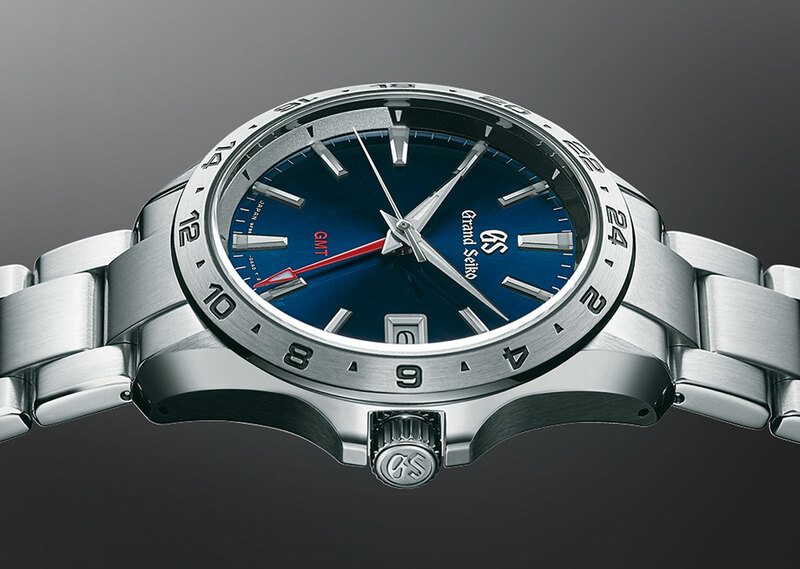 The Grand Seiko 9F GMT limited edition (ref. SBGN001) will arrive in stores October 2018, priced at ¥399,600 with Japanese tax, or €3600 including European tax. And the regular edition models (refs. SBGN003 and SBGN005) are slated for January 2019 delivery, priced at ¥356,400, or €3200.